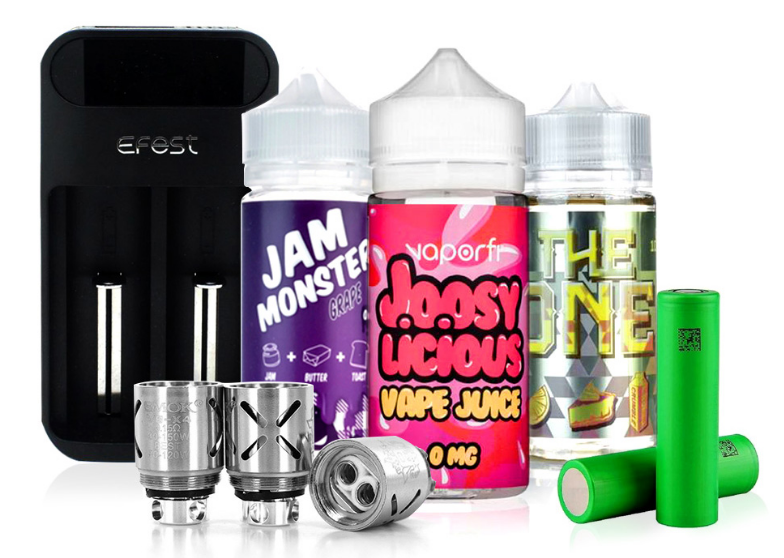 Experience a piquant vape juice that will redefine the way you experience fruit e-liquids forever. A tart green apple joined together with a succulent pairing of honeydew and kiwi provide the palate a tangy surprise. The green apple note weighs heavy on the inhale with subtle inflections of kiwi and honeydew. Kiwi takes full control of the exhale with pockets of honeydew and green apple support the finish with excellence. Be sure to buy Green Blast by Naked 100 E-Liquid (60ML) now! I purchased this after reading a review of the best e-liquids. I'm really pleased with the flavor. It's not too sweet and you can taste the kiwi, green apple and honeydew melon. This was my first Naked juice and I was very pleased. I'm not sure I could taste the kiwi but the honeydew and apple are a great combo that's full flavor and extremely smooth. While it could be a fluke, my coils lasted much longer vaping this so it tastes great and is making your coils go the extra mile. An all day vape I'll be buying again. This was strongly recomended to me. I am glad I gave it a try!